This fish is not suitable for our aquarium at home. 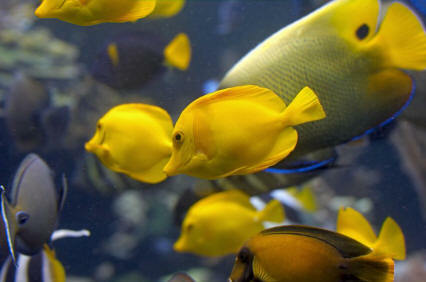 Only young animals can be kept in a school in a large aquarium with a lot of free swimming space. They don t see very good and they are shy. They are omnivorous and they like large live food. When they get older they loose their teeth and then they eat vegetable food. 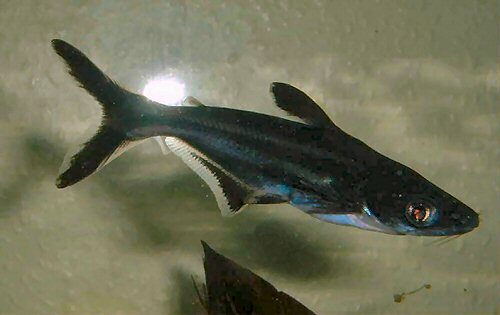 Breeding in the aquarium is impossible because they get too big. Not an aggressive species, but much smaller tankmates will likely be consumed. It can also bother sedentary or shy companions with its constant activity, but conversely is easily intimidated by aggressive or boisterous species. 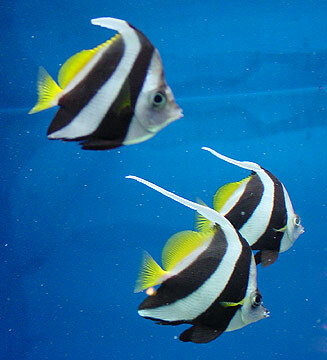 The best choices are large, peaceful benthic and mid to upper water shoaling species. Doradids such as Oxydoras niger , Megalodoras urunoscopus or Pterodoras granulosus are ideal, as are Pacu or many larger cyprinids. 130cm and over 40 kg in weight! Although it rarely reaches this size in captivity, it s easily capable of topping 90cm. 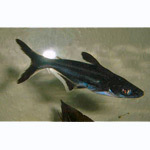 Iridescent sharks are schooling fish that prefer to be kept in groups of 5 or more.